Yosemite National Park is roughly the size of the state of Rhode Island, so many people find it daunting to figure out how to plan their visit. To make it easier, it helps to get to know the major areas of the park and what they offer. We tend to think of Yosemite as having five popular areas: the famous Yosemite Valley, the Mariposa Grove and Wawona, the Glacier Point corridor, Tuolumne Meadows and the Hetch Hetchy area. Beyond that is a vast wilderness park that only backpackers get to see. 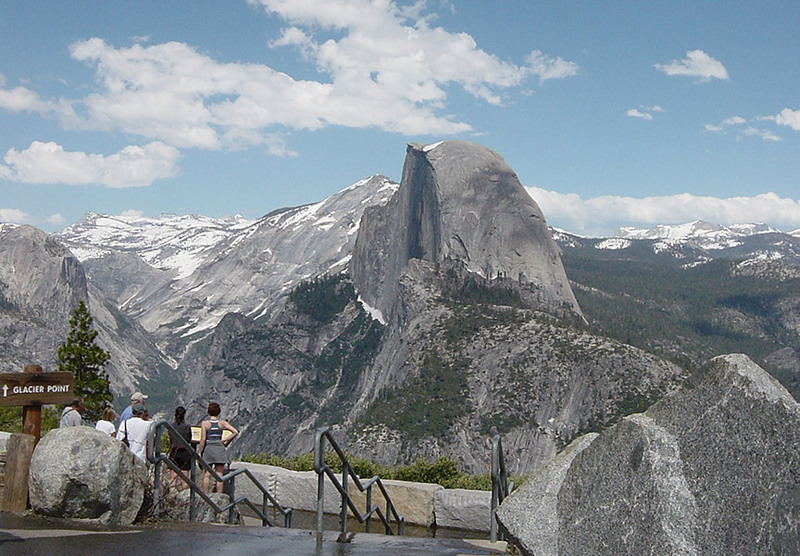 Those making a short visit of a couple of days will commonly see Yosemite Valley, the Mariposa Grove and Glacier Point. Those with a bit more time can add Tuolumne and eventually Hetch Hetchy. This is the famous, iconic Valley. People often refer to it as "the park" as in "We went out to Glacier Point and then into the park." Of course, Glacier Point is part of the park (and has been since the original park was created in 1864). 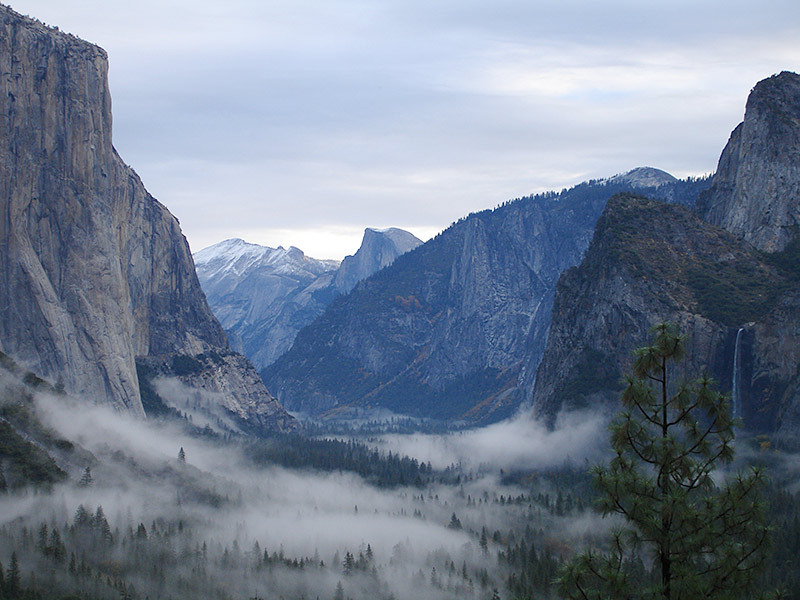 In fact, Yosemite Valley is only about seven square miles in a park of 1200 square miles. Put another way, the Valley is about large enough to hold a small town, while the park is large enough to hold Rhode Island. Despite that, for many people the Valley is Yosemite and Yosemite is the Valley and with good reason. The sites and scenes that are the most famous and the most unique to the park are found in the Valley or on its border: Half Dome, El Capitan, Glacier Point, Royal Arches, Yosemite Falls, Bridal Veil Fall, Vernal and Nevada Fall on the Mist Trail. The vast majority of Yosemite photos you see are taken here. It’s here that you’ll also find the visitor center, bike and raft rentals, the grocery store, post office, Ansel Adams gallery and several dining options both casual (the Lodge cafeteria, Curry pizza deck, etc) and fancy (the excellent Mountain Room restaurant and the world-famous Ahwahnee Dining Room, a pricey gourmet restaurant at the Ahwahnee hotel). Glacier Point is only 3300 feet (1000 meters) from Yosemite Valley. Straight up. To get from the Valley via road, it’s a one hour drive or about 30 miles. Our home is roughly at the halfway point between the two. Glacier Point was part of the original 1864 park and offers a tremendous overlook of the Valley with views of the surrounding mountains and the Sierra Crest. It is especially popular for its evening views of Half Dome. The Mariposa Grove is the premier sequoia grove in Yosemite. 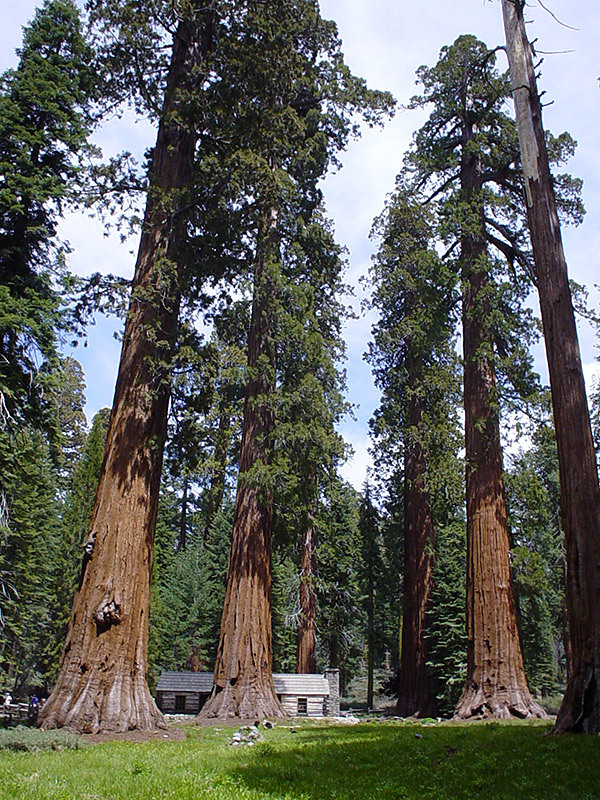 There are two others: the Tuolumne Grove and the Merced Grove, but those two have a couple dozen trees each as compared to over 400 trees in the Mariposa Grove. When the original 1864 park was created, the Yosemite Grant saved two things: Yosemite Valley and the Mariposa Grove. Like Glacier Point, the Mariposa Grove is roughly one hour away from Yosemite Valley and our house is at roughly the midway point on that trip. Unlike Glacier Point, until 1890, the land between the valley and the grove was not part of the park. In other words, it wasn’t set aside because it happened to border the valley, but because it is in and of itself a natural wonder that, at the height of the Civil War, motivated Congress to create the first park of the kind in the world. If I set aside rock climbing destinations and had to pick a favorite spot in the park, it would probably be the Upper Grove of the Mariposa Grove. It’s a nearly pure stand of sequoias and early in the morning or in the winter is typically deserted. It is, therefore, a "must-see" on a par with the famous valley itself, though if your trip includes a day in one of the great groves of Sequoia National Park, we’ll let you off the hook on this one. While out at the southern end of the park, it’s worth visiting Wawona. The village of Wawona is home to the Wawona Hotel where Teddy Roosevelt stayed on his trip to Yosemite. It is also home to the Pioneer Village, a collection of buildings from the Yosemite Pioneer days that is well worth the relatively small effort it takes to visit. We finally get outside the original 1864 Yosemite Grant into the other 95% of the park that was added in 1890 when Congress created the national park very roughly as we know it now. Tuolumne Meadows refers to a large alpine meadow, but for most of us we use the term to refer also to the vast high-alpine country in the northern part of the park. This is where the locals tend to spend their days off in the summer partly because it’s so much cooler up there at 8,000-10,000 feet than down in the Valley at 4,000 feet, and partly because it’s only accessible by car a few months of the year. The rest of the year you have to get there by skiing or walking. 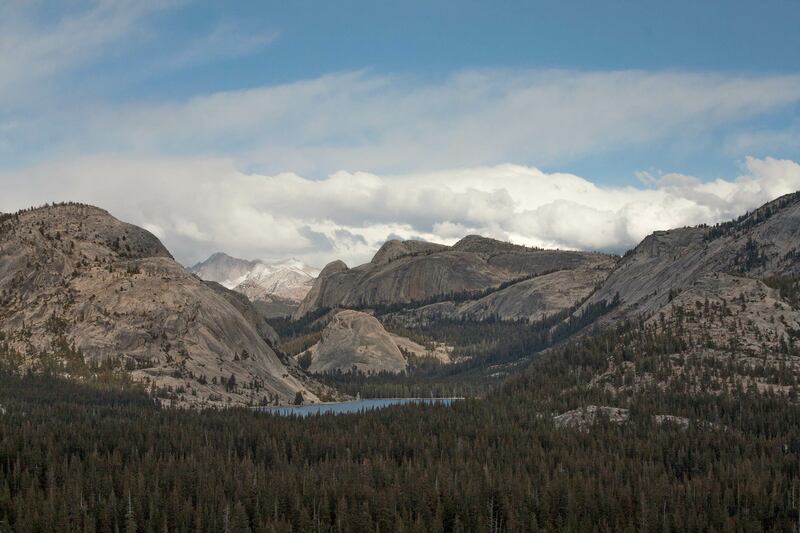 There is certainly breathtaking scenery along the road, such as the views from Olmstead Point or Tioga Pass, but for most people Tuolumne means getting out of the car and hiking. There are numerous nice hikes in the four to ten mile range and you can also just relax by Tenaya Lake. From our house it’s about an hour and a half to Olmstead Point and about an hour and three quarters to Tuolumne Meadows proper. 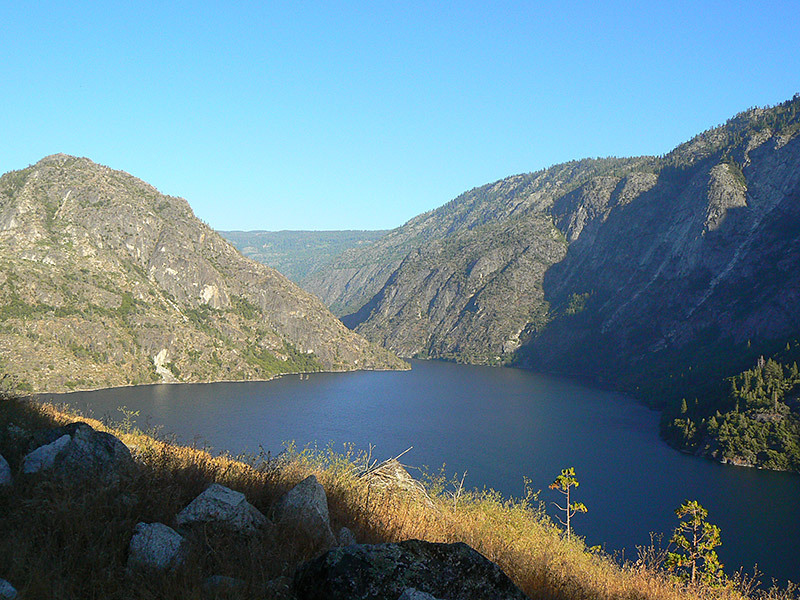 Hetch Hetchy Valley was Yosemite’s twin valley. John Muir considered it the more beautiful of the two. Until it was dammed and flooded. If you go there now, you can see the dam and the reservoir that provides drinking water to San Francisco. It’s a gentle relatively flat walk to go view Wapama Falls and stand on the dam and contemplate the loss of Yosemite Valley’s sister valley. Hetch Hetchy is a fairly long ways from anywhere else in the park. To get there you need to actually leave the park by the Big Oak Flat gate and then drive over half an hour to get there. As such, it’s one of the less-visited parts of the park. It’s a nice departure point for a variety of hikes, but for most people it’s a fairlylow-priority destination. From our house, it’s over one and a half hours drive to get there.